Miranda, who was born to parents of Puerto Rican origin received a star on the Hollywood Walk of Fame Friday, just outside the theater where he performed after landing his first job in Los Angeles. 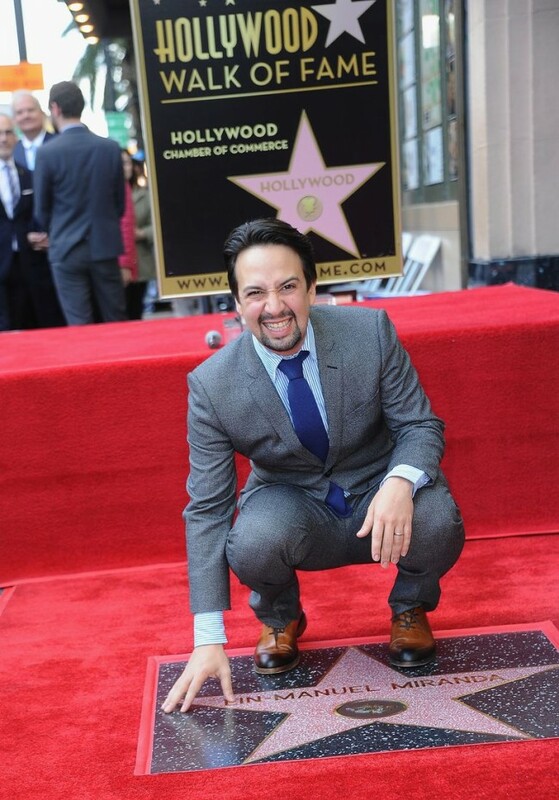 In anticipation of the release of his new film, Disney’s “Mary Poppins Returns” in theaters December 19, 2018, the composer and playwright best known for his wildly popular broadway musical “Hamilton,” Lin-Manuel Miranda received a star on the Hollywood Walk of Fame on Friday. The 38- New-Yorker adds the honor to an ever-growing list of awards and accolades, including three Tonys, three Grammys, an Emmy and a Pulitzer Prize. His star sits at 6243 Hollywood Blvd., outside the Pantages Theater in Los Angeles. He’s also known for his activism, primarily focusing on immigration, education and disaster relief in Puerto Rico, where his family is from. Miranda has actively supported the relief efforts in Puerto Rico following Hurricane Maria in September 2017, creating the benefit single, “Almost Like Praying” as well as releasing its Salsa Remix, benefitting the Hispanic Federation’s UNIDOS Fund, helping relief and recovery efforts on the island. He and Jennifer Lopez released the charity single, “Love Make The World Go Round” as a tribute to the victims of the 2016 Orlando nightclub shooting. He has continued to respond to tragedy with music, teaming with composers Benj Pasek & Justin Paul and Tony Winner Ben Platt for “Found/Tonight” supporting the March For Our Lives Initiative.